Majestic Glass and Mirrors is the name to know for all your customized glass needs. We are the experienced professionals that you can trust to install or replace commercial and residential: shower doors, glass and mirrors. Our quality service and expertise in glass set us apart from all the competition whether you are a contractor, homeowner or business owner, contact the experts Majestic Glass and Mirrors for the top quality glass products, customized projects and superior workmenship. 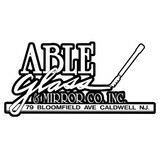 Able Glass & Mirror Company has been a recognized name in the glass industry for many years. 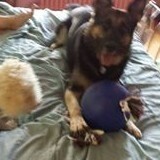 We are a family operated business. Scott Kuenzle is third generation in the glass business. We are located on Bloomfield Avenue in Caldwell, NJ. We look forward to serving the tri-state area in all facets of the glass business. Able Glass carries a wide range of glass and mirrors to suit every customers need big or small. We carry all types of custom shower door systems from the leading manufacturers. We work hard in trying to satisfy the needs of any budget. Farrell Glass is a full-service residential glass and commercial glass/architectural metal company. After thousands of installations spanning 25+ years, virtually nothing relating to the application or installation of glass is new to us. We offer the following advice to those viewing this website in anticipation of a glass or glass and metal project: When selecting a contractor for an improvement which is expected to last for decades, such as a new storefront, a custom shower enclosure, or the replacement of "foggy" insulated units, in addition to the "bottom-line" installed price, strong consideration should be given to the credentials of the companies competing for the work. How valuable is a "lifetime guarantee" if the person offering it has only been in business a handful of years? And what future commitment can be expected from a "company" operating out of the back of a truck? Did they offer to show last week's job or last month's job? What about work done ten years ago? Or twenty? Did they attempt to compensate for their lack of experience by offering phony discounts and "give-aways" as bait? Did they offer to provide proof of insurance along with their quotation, or was that something that was hoped to have been overlooked? We are in business since 1984, and still answer the same phone line. Customers are always welcome at our facility, whether its to choose from samples or view a project in fabrication, prior to delivery and installation. We play no "shell games"; we deliver what we promise, and we're willing to prove it every step of the way. We encourage the inquisitive to peruse our commercial and residential "GALLERY" pages. While we can't expect seasoned residential customers to allow strangers into their homes to critique our past installations, most of the project photos in our commercial gallery include the location and year completed, and can be publicly accessed. Our expertise is invaluable and, by way of our diverse glass and metalworking background, often unobtainable elsewhere. We are proud of our standard of excellence and remain committed to our customers, both new and old. Fulfilling their needs is and always has been our top priority. Private property investor as well as small contractor. I create and install glass shower enclosures and mirrors along with other interior glass for high end projects. With the right glasswork by the right craftsmen, your home can look younger, cleaner and brighter. Renew the outside of your home with fresh storm windows and screens, or enjoy the inside with custom shower doors and tub enclosures. You won't have to worry about seven years of bad luck from that broken mirror - not with our fast, friendly service. You can see even custom mirrors and heavy glass tabletops removed and replaced in the same day. RESIDENTIAL GLASS SERVICES Broken Glass in your home is not only frustrating, but also dangerous. The good news is that our certified technicians can replace your glass or repair your window in your time of need. We stock a full inventory of window hardware. Additionally, we offer single, double, and triple pane glass replacements, and board-up services when necessary. . null SHOWER GLASS SERVICES Every frameless and semi-frameless shower door, panel, and enclosure at Dedicated Glass Works is custom fabricated to fit your every need. We offer many glass patterns, finishes, and hardware that you can see before you choose. . COMMERCIAL GLASS SERVICES DGW offers a full range of architectural products and services to meet the glass needs of any commercial customer. We stock common laminated glass and storefont hardware such as door closures and handles to provide same day services. DGW offers fast, on-site solutions- whether you need to replace a broken window, installing new glass in a door, or repairing a glass display case. EMERGENCY GLASS SERVICES Dedicated Glass Works offers emergency glass repair, emergency glass replacement & emergency board up services for your storefront. Our team of experts provides fast, on-site solutions- whether you need to replace a broken window or installation of a new glass door. 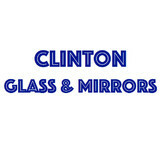 Metro Glass & Mirror specializes in shower door enclosures, custom mirror work, window repairs, table tops, etc. Exceptional Glass and Frameless Shower is a Glass company in Roselle Park, NJ, offering Glass Products, Installations & Repair.